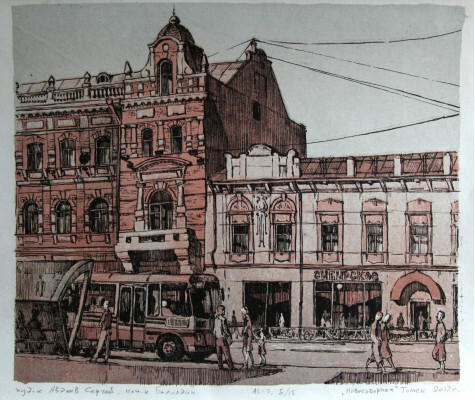 This original Lithography ﻿`Street in the old town` by a Russian artist Sergey AVDEEV, is done in lithography on paper. This cityscape was created in Realism style. Artist - Sergey Avdeev. Printmaker - Bakholdin. AL-1. A copy of 5 of the 15. Plate size: 28x33 cm. Paper size (app. ): 30x41 cm. 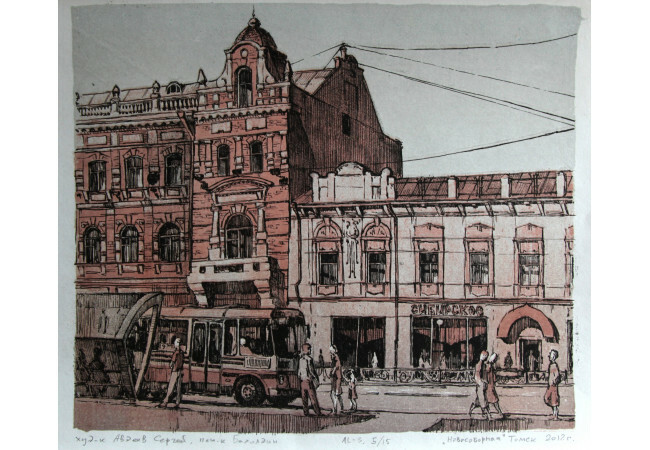 Lithography is a method of printing originally based on the immiscibility of oil and water. The printing is from a stone (lithographic limestone) or a metal plate with a smooth surface. It was invented in 1796 by German author and actor Alois Senefelder as a cheap method of publishing theatrical works. 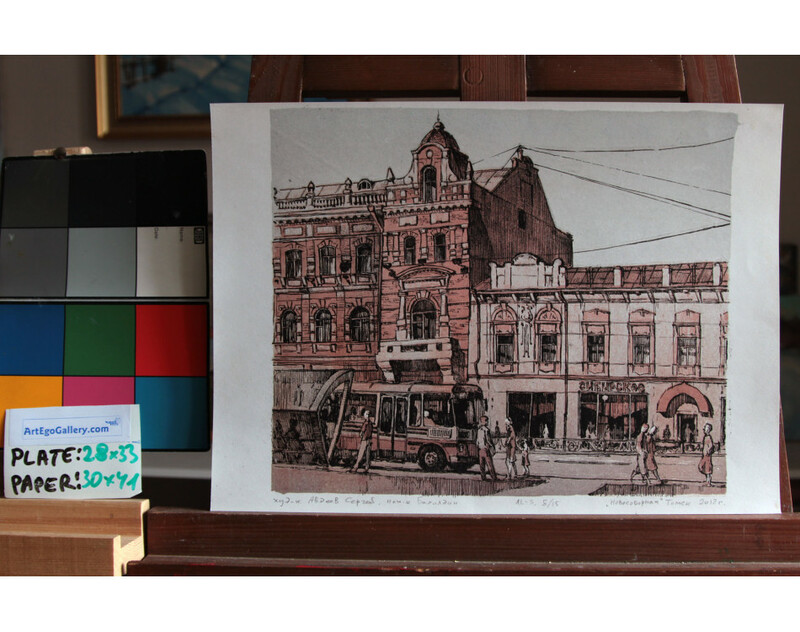 Lithography can be used to print text or artwork onto paper or other suitable material. In modern lithography, the image is made of a polymer coating applied to a flexible aluminum plate. 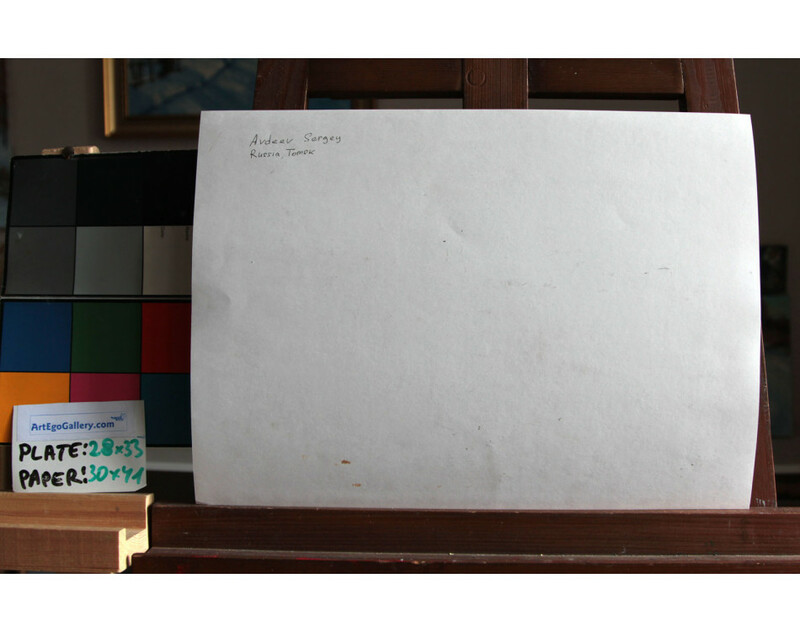 The image can be printed directly from the plate (the orientation of the image is reversed), or it can be offset, by transferring the image onto a flexible sheet (rubber) for printing and publication. 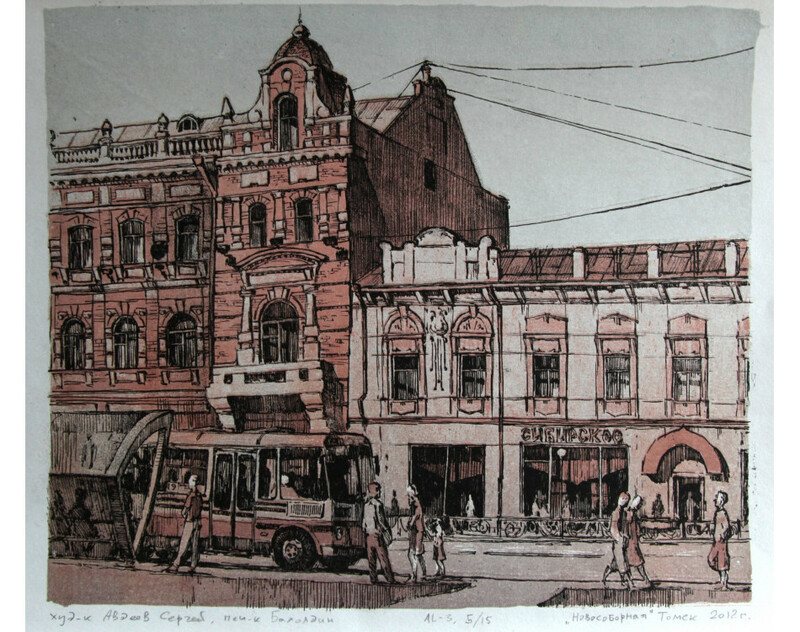 As a printing technology, lithography is different from intaglio printing (gravure), wherein a plate is either engraved, etched, or stippled to score cavities to contain the printing ink; and woodblock printing or letterpress printing, wherein ink is applied to the raised surfaces of letters or images. Today, most types of high-volume books and magazines, especially when illustrated in colour, are printed with offset lithography, which has become the most common form of printing technology since the 1960s. The word lithography also denotes photolithography, a microfabrication technique used in the microelectronics industry to make integrated circuits and microelectromechanical systems. Sergey Avdeyev was born in the city of Tomsk (Russia) in 1984. He studied at Tomsk State University, Department of Fine Arts from 2009 to 2014. His teachers were members of the Union of Artists of Russia Oleg Natanovich Arutyunov, Korobeinikova Tatiana S. and Honored Artist of Russia Nikolai Korobeynikov. In 2013 was the first exhibition in the city of Tomsk. Since 2015 teaches drawing and plastic anatomy at Tomsk State Pedagogical University at the Faculty of Technology and Entrepreneurship.